Nation States- A state that is associated with a specific nation or cultural entity. Nationalism- being associated with one country. 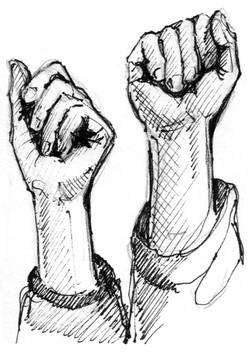 The ideas that ethnicities have the right to govern themselves is known as self-determination. 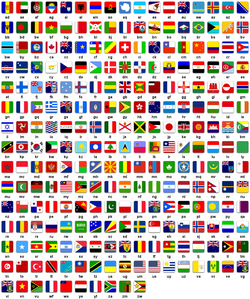 During the nineteenth and twentieth centuries, political leaders have mainly supported the right of self-determination and have tried to organize people into a collection of nation- states whose territory corresponds to a particular ethnicity. 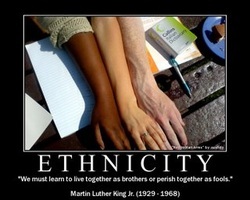 (sadly, the territory of a state hardly ever corresponds exactly to the territory of an ethnicity. Ethnicities were changed into nationalities all throughout Europe during the nineteenth century, and most of Western Europe was made up of nation-states by 1900. Following the defeat of the Austro-Hungarian and Ottoman empires, many European boundaries were redrawn according to the idea of nation-states. During the 1930s, German National Socialists (Nazis) claimed that all German-speaking parts of Europe constituted one nationality and should be unified into one state. Other European powers did not try to stop the Germans from taking over Austria and the German-speaking portion of Czechoslovakia. Not until the Germans invaded Poland (obviously not a German-speaking country) in 1939 did England and France try to stop them. Denmark is an example of a European nation-state. 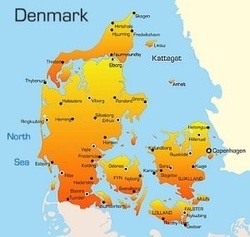 The territory occupied by the Danish ethnicity closely corresponds to the state of Denmark. But even Denmark is not a perfect example of a nation-state. The country’s southern boundary with Germany does not divide Danish and German nationalities exactly. "A nationality, once established, must hold the loyalty of its citizens to survive." Nationalism tries to promote a sense of national consciousness that holds one nation above all others. For many states, mass media are the most effective means of portraying nationalism. For example, the United States uses the flag to pull people together during times of trouble.